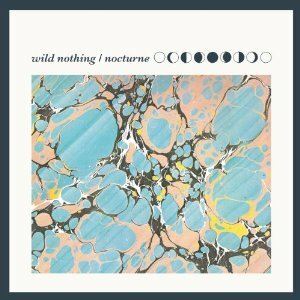 Having been mostly disappointed with many sophomore efforts that have come out in the past several months, the release of Jack Tatum, better known as Wild Nothing’s second LP, Nocturne, was a welcome relief. Each track on Nocturne, phases into the next effortlessly, creating a captivating aural pillow that one would be happy to sink into. Opener “Shadow” is head bob encouraging, dream pop delight. Title track “Nocturne” charms with Tatum’s beautifully patchy vocals and guitar riffs. Wild Nothing seems to conjure a bit of The Smiths’ on “Disappear Always” and a bit of The Cure on “The Blue Dress.” It seems that Wild Nothing’s stylistic weave of ’80s nostalgic new wave and shoe gaze electro dream-pop, are even more seamlessly intertwined on his latest effort. Nocturne is an intoxicating record that unfolds with more depth after every listen. A sophomore album that lives up to the promise of, if not surpasses, the artist’s debut. One thing is certain, the future seems bright for this young man and one can only hope we get to bask in it.